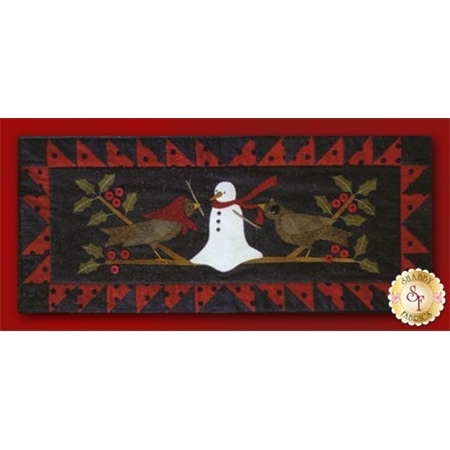 Create an adorable flannel holiday table runner featuring our favorite birds building a snowman! This kit includes the pattern and all fabrics (100% flannel) needed to complete this 12" x 28" table runner. This is a laser cut kit, meaning all of the applique pieces arrive to you pre-cut and backed with fusible webbing. Embellishments and embroidery floss are not included. Add the Richard Hemming Embroidery Needles Size 4 for your embroidery and stitching!